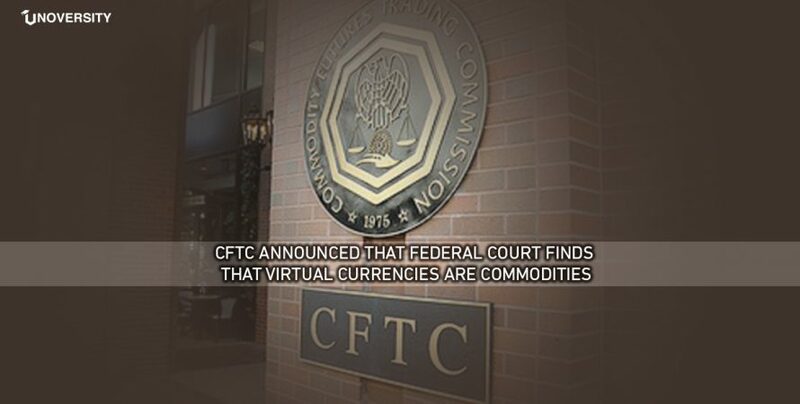 The United States Commodity Futures Trading Commission (CFTC) published a press release on October 3rd which stated that the U.S federal court assigned Virtual Currencies as Commodities and the CFTC has the power to indict fraud involving virtual currency. This judgment was passed as a part of a case from September 2018 where the originators of cryptocurrency “My Big Coin” (MBC) were indicted with fraud. CFTC had appropriately declared that MBC was a commodity under the Commodity Exchange Act because it is a virtual currency. Senior Judge Rya W. Zobel of the U.S. District Court for the District of Massachusetts agreed to CFTC’s position leading to the fact that Bitcoin futures are currently being treated as commodities and are under CFTC jurisdiction. The court also rejected the MBC’s claim that the CFTC could only indict them based on market manipulation, stating that the broad interpretation of commodities involved any kind of fraud, whether or not market manipulation had happened. MBC had been cheating traders since 2014 by persuading them to buy the cryptocurrency which was, in fact, a sham. The creators of MBC prompted investors to assume the token could be used for trading and was backed by gold. “Defendants[MBC] misappropriated customer funds by conning people into giving them more than $6 million,” instead of the raised money into the project’s improvement, they spent it on homes, jewelry, and fine art, according to the court. 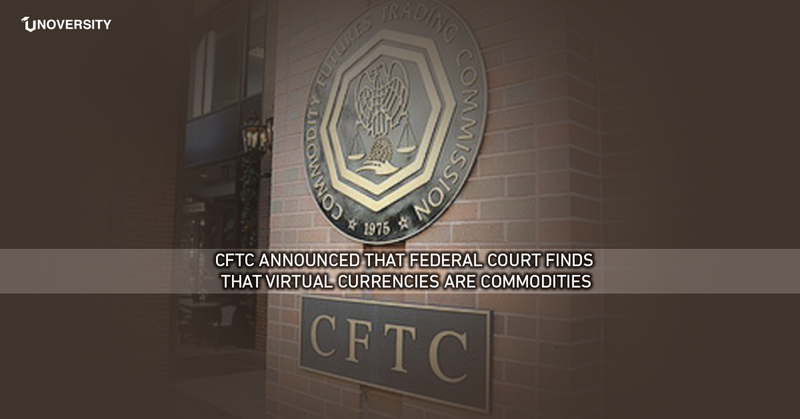 This decision has established the CFTC’s ability to prosecute cryptocurrency fraud and also brings virtual currencies under the CFTC’s authority. On October 1st, CFTC Chairman J. Christopher Giancarlo , In an interview with CNBC’s fast money, termed the cryptocurrency ecosystem a “two-handed approach,” one hand are regulatory authorities who can help shield investors and counter fraud, and on the other those who would bring in innovation in cryptocurrency. 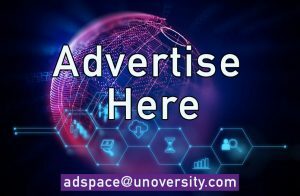 He also mentioned that a low and cautious approach will likely be required to help institutions like the Securities and Exchange Commission (SEC) and CFTC figure out precisely how to regulate and deal with cryptocurrencies.